For those travelling on a 60 day tourist VISA in Thailand there is always the option of a further 30 day ‘VISA extension’. This should be applied for before the expiration of the current VISA (after the first 30 days) and the application should be completed at the Bangkok Immigration Office at Chaeng Wattana, or at other Provinicial offices when outside of Bangkok. While possible to travel direct by taxi to the immigration office it is often quicker, and cheaper, to use the convenient rail networks. By underground (MRT) take the train to Chatuchak station, or by Skytrain (BTS) the Mo Chit station, then from Mo Chit / Chatuchak a taxi to the Bangkok Immigration Office will be roughly 100 Baht. Or to keep it ver cheap there is the bus option, numbers: 66, 51. 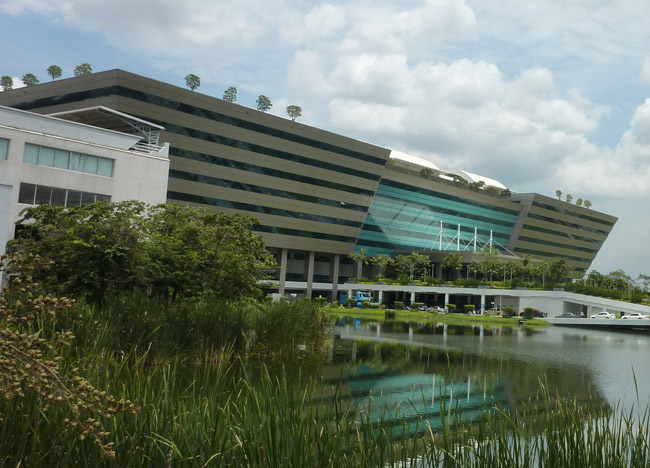 Full address: Immigration Division 1 Office, Chalermprakiat Government Complex, Chaengwattana Rd (soi 7), Laksi, Bangkok. 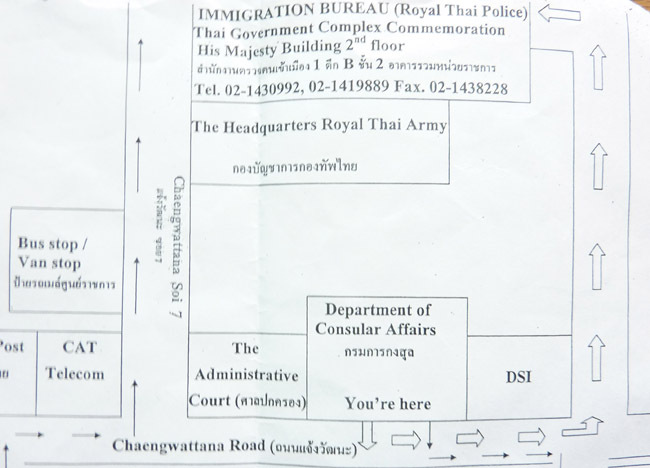 Note taxis may drop you at the Government Complex on the main road (consular building) so be sure to show Chaeng Wattana Soi 7 otherwise a 30 baht motorbike taxi (or lengthy walk) will be necessary to find the Bangkok Immigration Office (pictured below). Also directions to Bangkok Immigration Office from the main road pictured below. 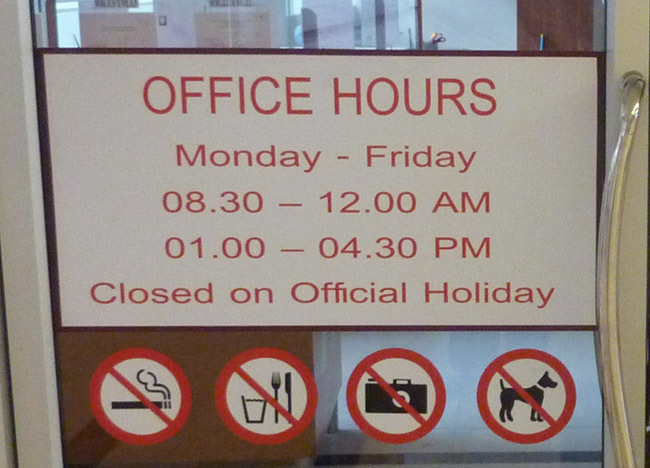 Opening Hours: Bangkok Immigration Office hours are Monday to Friday between 08.30 – 16.30 (as below) with a one hour break between 12 noon – 1pm. It is best to arrive early, pick up a ticket and wait in line. Note the immigration office will be closed on public holidays in Thailand. I rarely opt for the VISA extension in Bangkok when travelling on a 60 day tourist VISA. The reason being, that I would rather apply for a new 60 day VISA at an embassy outside of Thailand. For this I would schedule VISA runs every two months, I would make them cheap, and, in the long run, spending isn’t so much different. Yet I get some great travel experiences to go with it. To date I have covered most of the nearby borders and you can check here for full list of VISA runs from Bangkok. Great tips as always Allan. I hear too many stories of people being caught out with overruns on their Thai visa. With this good advise there should be no excuses. I also like your idea of little trips away whilst renewing. It reminds me of my weekend trips to Bahrain or Dubai from Riyadh when I had to leave the country every 2 weeks just to keep my Saudi visa valid. I was caught once before, 6 days, 3,000 Baht, a complete waste of money. If you don’t plan these things in advance it can cost you. Note I’m a little jealous about Riyadh, definitely on my to do list. Good article. But I have a question. If I land in Bangkok on a 60 day visa, can I extend it straightaway and get 90 days. Or is it 30 days extension from the date you renew – so better done at the end of your 60 days? Hi Ged. It is 30 days from the date you renew so it is best left to the last day or two. A.
Allan, are you positive that its from the date you renew? Is there not a period of 15 days before the date of expiry that you can apply for the extension? 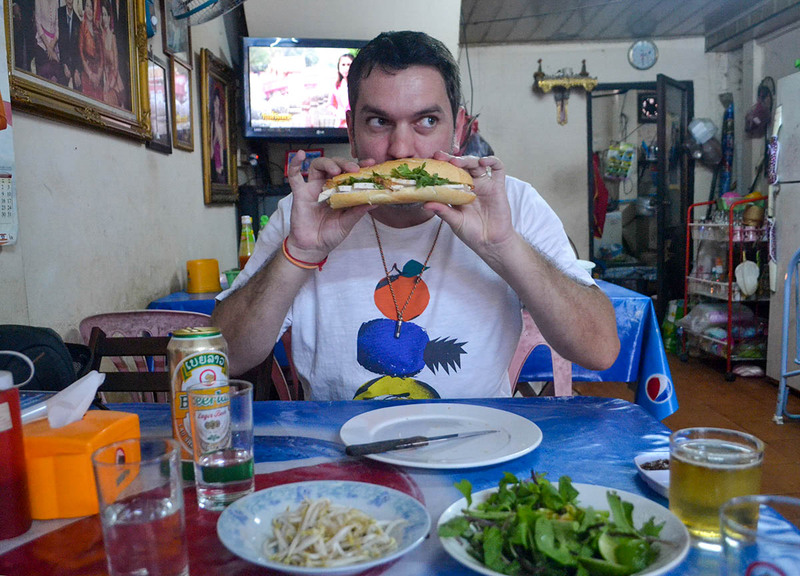 If you only do 60 day tourist VISAs, is there a limit to the number of time you could do this ? With all the visa crackdown, is there a chance to be refused on entering the country again ? I know people have been refused with back-to-back 30 day VISAs but this may be the same with the 60 days. I don’t think there is a given number, just down to luck really. Immigration at borders will always be unpredictable and crackdowns can happen at any time, although I think the worst has passed. To be safe it maybe best to arrive via airports as there’s next to no chance you’ll be sent back on a plane, plus VISA runs by Air Asia can be cheaper when booking in advance. I thought there would be a better VISA option than ‘tourist’ for this situation? I haven’t heard of 60 day extensions, and in this situation I would probably leave the extension and instead get a new 60 day tourist VISA at an Embassy outside of Thailand e.g. Penang. Or maybe one extension and a border run (VISA exempt). Hi Nuch. I think this should be no problem. 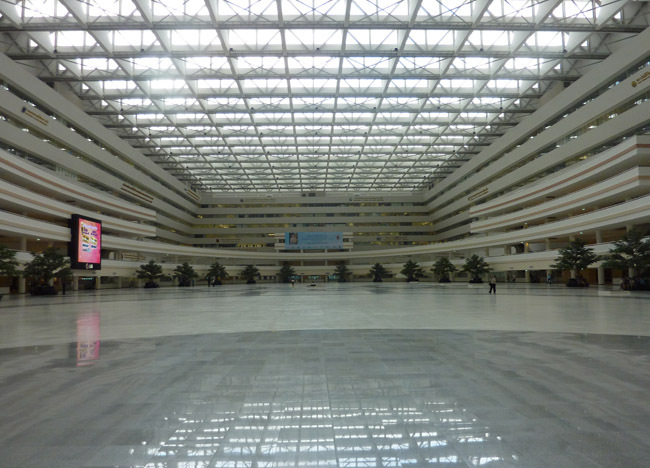 Unlike average tourists you should be able to get the family extension which allows 2 months. Bit of a random question and I don’t know if you will have a clue but do you know if the immigration office are able to close VISAs off? I now have a Thai passport but entered as a British person on a VISA, I’m trying to work out if there’s anyway to close this VISA in Thailand without having to exit given I’m now a citizen. Yup, I’m clueless. I’ve heard if passports run out on one Visa it can be transferred over to the new passport. Again, not really relevant but they do offer help in new / old documentation so it should be no problem. Just bring the old passport with the new documentation to either the immigration office or border crossing and they should sort it for you. Hope this helps. A. Thank you Allan, I appreciate you taking the time to come back to me, I’m sure I’ll work it out! hey I like this part aboit being citizen how you do this? Your comments are very helpful. I am little confused over the visa situation. I got a 30 day ( I think) visa when I did a visa run earlier this month to Laos. It is a tourist visa so does that only mean 30 days or 60? Hey Steve. If it was given at the border crossing it will be 30 days (called VISA exempt). If you applied for a tourist VISA at the immigration offices in Laos it will be a 60 day tourist VISA. Yes it was only the 30 day one sadly. Thank you for your quick reply and helpful information. isn’t it easier to just pay the fine (2,000 baht) considering the 1,900 baht fee for visa extension? I should probably say no because it is illegal and there’s probably a bit of risk in it, but, yes it is easier. 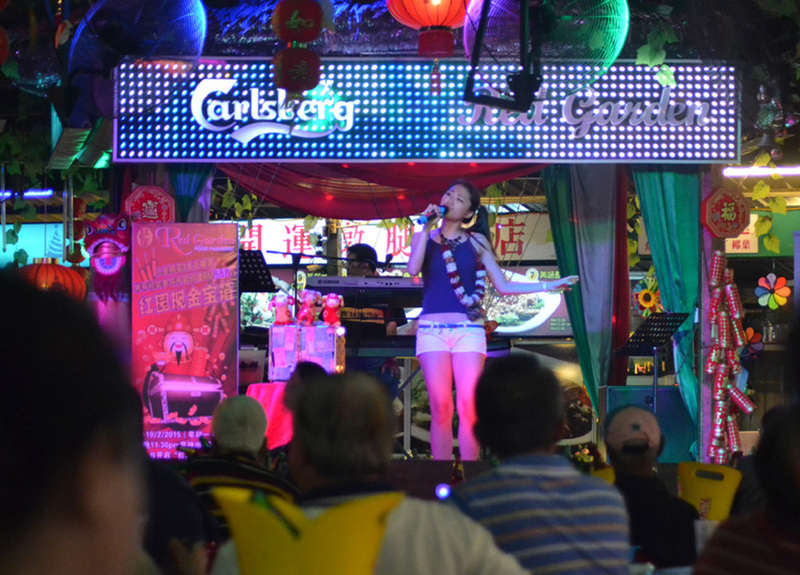 I overstayed 6 days before and paid 3,000 Baht. Again I missed it be just 1 day last week because of the Chinese New Year. At passport control you will be pulled to the side to sign and pay the fine. Hello there! What about traveling for more than 90 days? I’ve done a little research and read your site re: Visa regulations… it seems if you want to stay over 90 days, you need to be over 50 and not working, or be going to Thailand for work? Can you provide any insight to this? Thank you! Hi Katie. There are a number of different VISAs for different reasons for being in the country. The tourist VISA would be the common one for those without reason. The best way for these will be the 60 day tourist VISAs with a 30 day extension in Bangkok then repeating the process if a longer stay is needed. The govt have been cracking down on the back-to-back tourist VISAs but this is more for those abusing them to work illegally in the country. Hope this helps. A.
Hello! Good day! How much is the penalty of visa expiration for more than a month. Thank you. Hi Issa, the penalty is 500 baht per day up to a maximum of 20,000 baht. You _can_ get extension on visa exemption. I did it today. Thanks so much Ken, And sorry if I mislead anyone. I tried getting An extension on a marriage visa from the Visa exempt but no luck. Must be okay on the normal extension. Thanks for this. What did you do to get your visa 30 visa extended? I need to get mine done. the only this is I lost my departure card. Would I still be able to get a extension? I don’t know anything about losing a departure card. I just went to Immigration at Chaeng Wattana and requested an extension. departure card isn’t needed until you leave the country. you can pick up a new one before immigration at the airport or whatnot. I have visa for 30 days which is end by tomorrow (4th may) and i want to extend it for 30 days more, i wanted to go by 4th may to do (5th may they have public holiday) but i just discover now that they make the public holiday also on the 4th may without notice this in their site. My question is what will be happend if i will come on the 6th may to extend my visa (that’s mean that i will be already in 2 days overstay)? Sorry Jo been on intensive travel in Japan so I missed this. Once over your VISA you cannot renew it. The only option I can see is to leave the country asap 🙂 Hope this worked out okay for you. A. Thanks for creating this, your posts are super helpful! http://www.immigration.go.th/nov2004/download/pdf/tm7.pdf is a better link for the TM 7. Hope that helps some folks, M$ Word can’t deal with the link provided unless all the fonts are loaded perfectly. Your blog is great and very useful. Thanks for this! Now, can you help me clarify my situation. I have a 60 day tourist visa that I got in Myanmar in April. My visa expiration is on the 5 of June. I made a re-entry permit this month because I was suppose to go to Vietnam but finally I will go next month on the 7 of June. So of course my re-entry permit is valid until the 5 of June and I will have to do a new one. No problem about this. Now after seeing your blog, I want to travel to Georgetown instead of going to immigration and pay 1900 thb for an extension of stay until July. If I cross the land border on the 4 of June and because I have a re-entry permit on my French passport, will the immigration just use the re-entry permit or they will give me a new 30 day tourist visa stamp? Actually I would like not to use the re-entry permit and get the tourist visa stamp because I plan to stay in Thailand until the beginning of July. What do you think? Can I cancel the re-entry permit to avoid a problem at the border? Or can I just tell the immigration at the border that I want a new tourist visa stamp and not use the re-entry permit? Or do I have no other choice but to do an extension at the Bangkok immigration office? Last time I passed I was fined for a one-day overstay. He didn’t speak the entire time and looked like Gianfranco Zola. I’m currently in Thailand and my 30 day visa is up on the 24 of may. I was hoping to extended my visa for another 30 days. I also lost my departure card. Will I still beable to go to immigration and get the extension? Or is there anything you suggest I do? Could anyone tell me if someone has a criminal record can they travel to Thailand? Yup, no problems. Otherwise Pattaya would be empty. how to get a thai retirement visa with a 90 day O visa. rules changed. Saying I must wait 60 days. Wha t? I’m going to extend my 60 day visa in a couple of days. Re the departure card, mine is not filled in but was stamped on arrival. Given I’m not currently certain what date I will leave the country (I have tickets booked but they are flexible) will the departure card be okay if it is left blank? Hi..your write ups are really helpful….I’m not so sure if my question will get a good answer but just taking chances.. I have a Pakistani friend who got 1 month tourist visa and wish to extend it..for another 2 months maybe..he came here twice already but he stayed first time for a month only..this time he wishes to extend it til Christmas..How can he do it? I have friends from Pakistan and wish to extend their stay..they are Christians and have 30 days tourist visa..is it possible for them to extend their visa in Cheng wattana for another month or so? Thank you for answering confusing questions..I read almost all comments and you really have knowledge about visas.. I need to start working in Thailand and I have a tr visa triple entry so I cannot …I choose to change into Marriage visa …I already open a bank account (very difficult) Everyone know how lon does it take the process? I haven’t got a marriage VISA before within Thailand but currently have one from outside embassies (Penang). It took one day for this one but I know the VISAs within are trickier and need people to visit the house etc. I’ve no idea the processing time however. Sorry about this. My TM card got accidentally wet and the stamped date cannot be seen anymore.What can I do about it?I’m so worried as I need to get a 30-day extension in few days time. Not sure what a TM card is? I’d probably just go early so there’s still time to do a VISA run without added fines. 1. You can only extend your visa after you have been in Thailand for 30+ days. 2. You can also extend your visa at other immigration offices, there is one in Krabi. 3. Always check your passport stamp before you leave the airport, mine was stamped wrong (30 days instead of 60). We went to Bangkok Suvarnabhumi airport on 8th July for on Arrival visa but Thailand Immigration’s didn’t allow for on arrival visa they did not give any reason. I asked Bangkok Suvarnabhumi Immigration many times to give reason but they didn’t give any reason, A very, very bad behavior with us its very horrible if I ask any officer sir please what is the reason so I can solve the problem but they were not listening to us. We got everything including return ticket and hotel booking and each person had minimum $1200.00 USD. We spent money for air ticket and hotel booking around $11000.00 USD and they didn’t allow for visa. Stopped us all in one room, not giving permission to use the toilet, no water and no food He was mentally harassed, Thai immigrations behave like we are criminal. They sent us back to India without giving any reason Bangkok to kolkata return ticket price double so all guys paid double amount then same kolkata to Ahmedabad double price hotel booking tour packages all payment not get refunds all money we are losing plus mentally harassed . What is the problem that’s people? Why they didn’t allow us for visa? I have attached all paper and document if you need to re verification please check at list my all paper its really horrible behavior. Can anyone help me why they do horrible behaviors with tourist comes in Bangkok Suvarnabhumi airport? So facing any problems ? If i get letter OR any safety guarantee from Immigration so i don’t have problems to come again OR if you not give me any guarantee so don’t need to come again, so we are make trip another location. I hope look forward to receiving a response from you within 24 hrs of receipt of this letter. Cheers Tom. Have updated above. but my visa expire after 9 days , so don’t have time , so i extend my tourist visa 30 days. but i have a small doubt, can i do non b visa on extended tourist visa , is it possible to do non b on more 30 days. I am coming to Bangkok end of this month. Actually i am coming to attend one training (fully funded) i have applied the visa in Thai consulate in my country. As my purpose of travelling was a training and conference (spanning over 7 days), the embassy has granted me the Non-Immigrant Visa ED Category. But in remark section of visa they, they have mentioned by hand as “TRAINING AT UNIVERSITY from 25th June to 02 July). Now i need to ask how long can i stay in Thailand? can i extend my visa for 07 days. Actually i need to meet my colleagues in Thailand and need to stay 4 5 more days. If anyone has advice please let me know. Thank you very much. Allen, I’m travelling to Bangkok on 4 Feb (Chinese New Year is on 14 Feb). During first 5 days in BGK I’ll have to obtain re-entry visa from Immigration Office (as I’ll be travelling in and out). Do you know if I might experience any issues because of the crowd (since it’s Chinese NY), and would you suggest to try to avoid this option by any means? I was there 3 days ago Dec 14th 2017…RELAX the procedure is strictly first class. If you want to get a 30 extension you can go there with NOTHING but your passport with your departure card stapled in. .”This is important” If you arrive BKK like me. yur departure date is stamped in 30 days… You can get extension any time.. routinely 30 days…1900 Baht about $50.00 US.. Just go along with the procedure if you need passport photo..which you do ..you can get it there..100 Baht…have a copy of passport…copy of Departure and departure stamp…and your 1900 Baht…People in this hugh complex will tell you what to do…It’s very efficient procedure. .I got caught in the middle of procedure at 12PM LUNCHTIME…no problem…There is so much to see in he building..so many places to eat..time flies..I was back at 1PM finished with extension 1:20…OK SO HOW DO YOU GET THERE…BY bus and the subway…If you follow what I say..”You need to walk ONE BLOCK..Of course you can take a taxi cost you around 10 bucks..but remember RELAX “You are an adventurer….a TRICK..look at what ever bus stop you are on…The bus stops “few and far between will have their routes…Look for the small icon circled M…that’s a metro stop..Just get on the bus for 7 baht or 14 air conditioned bus..tell the lady you want to get off at metro..”She will not understand but draw a circle with the M inside she will understand and tell you when you reached the metrp “Keep it simple.. Wherever you are it will take less than half hour either way to get to CHATUCHAK PARK You can get there by bus like the #3 #30 etc etc..what ever works for you.. to get to CHATUCHAK…Get off ther NOW YOU TAKE THE52 bus and it leaves you off right there IF YOU MAKE IT KNOWN TO THE BUS CONDUCTOR OR PASSENGERS AROUND>>>say IMMIGRATION and use a hand jesture whichis universal there mke a fist with your hand the other as a piece of paper a stamp pad gesture…That will get you right there..Now walk to the corner turn left…200 yards there is a small bus stop…. It’s free..it’s a van shuttle..he stops first at A then B you get out at B “the van driver will know…so you got Limo service right to the door.. As an extra bonus I’ll throw in If you are an American like me…need to go to the Embassy for passport affair…Take the Metro that you are now familiar with >>get off the stop LUMPHINI…out of the station probably facing North…you can walk 10 minutes or take the #62 bus leaving you right outside the US embassy..again tell conductor whre you want to get off…Good Luck and Good travels Bangkok is fabulous. Great report. Thanks for this. You can always risk it. I have overstayed before and even up to 5 days when I arrived via a land border and though I had the 30-day VISA exempt. When it was actually 14-days. Anyway this just means paying a small fine of 500Baht per day at the airport or border e.g. you’ll have to pay 1000 Baht. Otherwise the VISA extension is the safe option.